This week, the open source world was rocked by Groupon staking claim over the GNOME trademark. The GNOME Desktop Environment, supported by the amazing community has held the right to the name since more than a decade. It was quite shocking to know that Groupon being large organization with a legal team could be so ignorant (or apathetic). They were filing 28 trademark applications for ‘GNOME’.GNOME came out with a strongly worded article on their blog protesting the move, and the whole open source world (yes…not just GNOME) came out to their defence, donating to help counter the move by Groupon. The intense pressure paid off, and Groupon decided to drop their interest in GNOME. This is a massive win for open source in general. It was heartening to see that open source organizations united to defend the GNOME community. This brings to mind one image which Ralf Flaxa shared at the openSUSE Summit, about how open source communities are perceived from the outside world. I recently attended Open Source India at NIMHANS Convention Centre, Bengaluru. 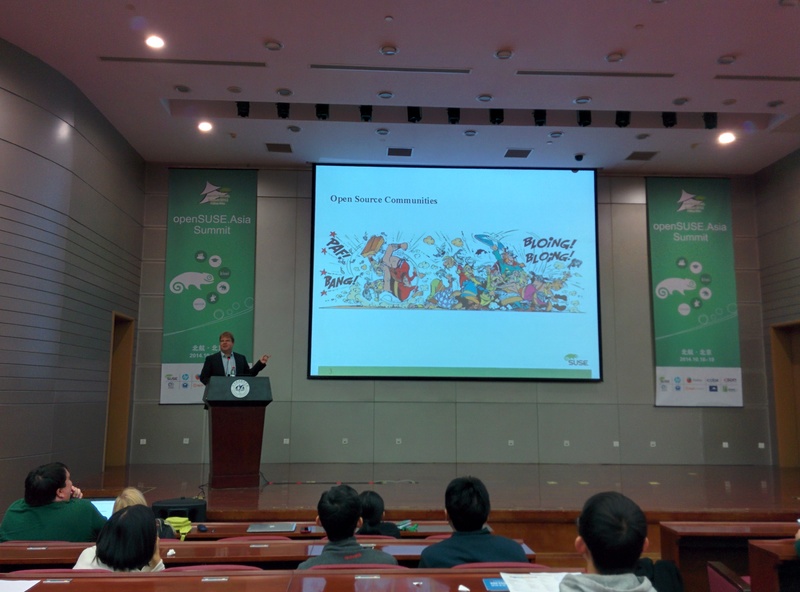 I was quite disappointed by the conference, which claims to be the biggest open source conference in Asia. Though the talks were really nice and informative, I felt they focussed too much on the industry using open source software. They left out the most important aspect of the Open Source Movement: THE COMMUNITY. There were no talks which discussed on how people could contribute to open source communities. What I love about open source conferences is how people from different communities get together and brainstorm about what works and what doesn’t. This aspect was totally missing. Instead, what we got was a bunch of people talking about how they are giving back to the community. I expected more from a conference of this scale.